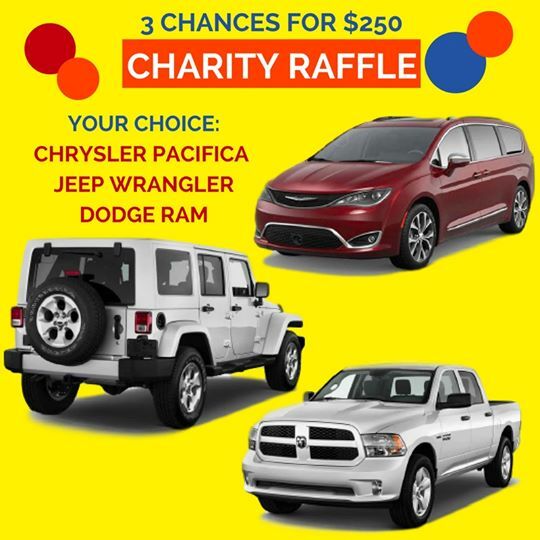 You have probably heard about our Car Raffle by now! Well, we want to extend a special opportunity for our CCA Families ... if you help us out and sell 10 (or more) Raffle tickets, you will be entered in a drawing for a Room Scholarship at the CCA Retreat 2018! There are 16 days left! That's right - one lucky family who sells 10 (or more) tickets will win a room scholarship, also drawn in October 2017! CCA Crash Edit from ThreeFold Films on Vimeo. It's very easy - just share this email and tell your friends, neighbors and family. Have them order online (*and put your family name in the "Tracking Code" box) or call the office and mention your family name. If you'd like to walk around your neighborhood selling tickets, let us know and we can send you order forms. I'm asking you to share this opportunity with your friends! We're selling only 500 more tickets (1,000 total) and the winner will get to pick a Jeep Wrangler, Dodge Ram, or Chrysler Pacifica, valued at up to $50,000, at a dealership nearby and drive off in a brand new vehicle! You can buy a single ticket for $100 or 3 tickets for $250.Please tell everyone you know. Forward this message to your contacts and share it on social media. We need to sell out ASAP!